Acupuncture is the insertion of ultra-thin, sterile needles into specific acupuncture points on the body which reside on channels or meridians; these are pathways in both the exterior and interior of the body. These points, when needled, can regulate the way in which the body functions. Acupuncture helps by addressing problems that affect fertility such as under-functioning (hypothyroidism) or over-functioning (hyperthyroidism). Acupuncture has been used for centuries to treat some causes of infertility. For example, acupuncture will not work to address tubal adhesions which can occur as a result of pelvic inflammatory disease or endometriosis. However, in this situation, an individual could still benefit from acupuncture and herbs because of the potential effect of improved ovarian and follicular function. Additionally, it is shown that acupuncture can increase blood flow to the endometrium, helping to facilitate a thick, rich lining. 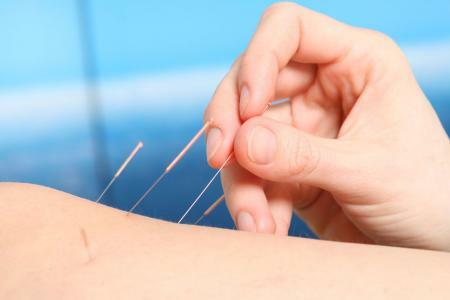 Acupuncture is similar to physical therapy in that it is a process oriented method of medical intervention. It is better to do more than less. Patients are commonly treated for three to four months before an insemination, in vitro fertilization (IVF), or donor-egg transfer. This period of treatment seems to have a therapeutic effect. In a study by Stener-Victorin et al from the Departments of Obstetrics and Gynecology Fertility Centre, Scandinavia and University of Gothenburg, women are encouraged to receive acupuncture treatments pre and post embryo transfer. Clinical observations from the Berkley Center for Reproductive Wellness suggest that the most effective fertility treatments involve a combination of acupuncture, herbal medicine, and traditional medical interventions. 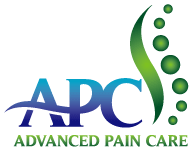 However, conception does sometimes occur when acupuncture and herbal medicines are used without traditional medical interventions. Your acupuncturist should not place needles in the abdomino-pelvic area after insemination or transfer. There are 6 contraindicated acupuncture points which should be avoided when the patient is pregnant or pregnancy is suspected. These include Gallbladder 21, Stomach 12, Large Intestine 4, Spleen 6, Bladder 60, Bladder 67 and any points on the lower abdomen. What are the risks of using acupuncture? There are minimal risks when using acupuncture for fertility treatment. A risk of miscarriage may develop if incorrect acupuncture points are used when a woman is pregnant. This is one reason why those wishing to include acupuncture in their treatment regimen should only be treated by an acupuncturist who specializes in treating fertility disorders. Acupuncture is not contraindicated for anyone regardless of their pathology or what medications they are taking. What types of fertility patients typically get acupuncture? Acupuncture can be used to treat any type of fertility disorder including spasmed tubes. (Spasmed tubes are often de-spasmed with acupuncture, though blocked tubes will not respond to acupuncture). Acupuncture is often combined with herbs to treat elevated follicle stimulating hormone (FSH), repeated pregnancy loss, unexplained (idiopathic) infertility, luteal phase defect, hyperprolactinemia (when not caused by a prolactinoma), polycystic ovarian syndrome (PCOS) with annovulatory cycles, and male factor including men affected with sperm-DNA-fragmentation. Women of all ages can benefit from acupuncture care. For young women just beginning to menstruate, acupuncture can help relieve cramps and PMS. The menstrual cycle can be comfortable and regular so that it won’t interfere with normal activities. Your mother may tell you that her period was difficult until she had her first baby. But you don’t have to wait that long. PMS symptoms usually begin to disappear quickly with treatment. Chronic menstrual problems respond well to more long term care. Acupuncture combined with herbal medicine restrains heavy bleeding associated with fibroids and endometriosis and relieves pain. For women who are trying to become pregnant, acupuncture sometimes helps solve problems of infertility. After childbirth, acupuncture are very helpful in restoring and replenishing the new mother’s energy. For women in menopause, hot flashes (power surges) and night sweats can be greatly reduced to make this time of transition much more comfortable. Treatment focuses on stopping excessive sweating and restoring restfulness.